Don’t you love it when you get this kind of personalized and individualized attention? The kind that makes you feel like the most important person in the store, whatever store you’re in? At Balloon Kings®, we believe in building relationships throughout every “Kingdom”— after all, all of us share the same milestones throughout our lives that bring us together in celebration. Luckily, all local markets have a need for specialized balloon stores for people with the same beliefs. You haul home a department store helium tank that never has enough helium. You settle for the limited selection of balloons at your local store and you wind up with a “Congratulations” balloon for a birthday. The balloons you bought at the mega-store the day before your big event are now wrinkled on the ground just hours before the party starts. 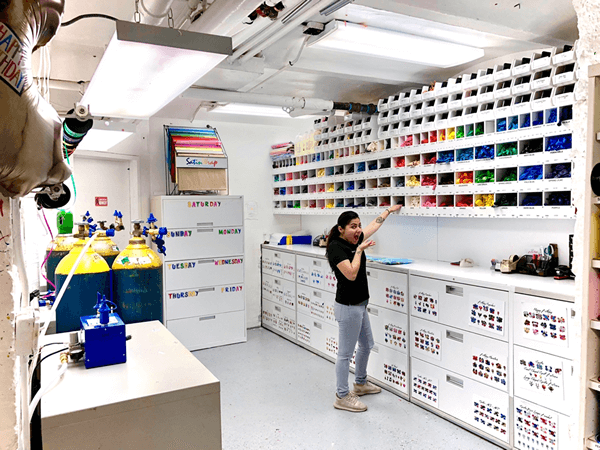 We participate in the milestones both big and small of our neighbors’, friends’, and families’ live by providing American-made quality balloon products with outstanding customer services. This is how we deliver happiness 7 days a week. Sharing that amazing moment of a customer’s initial joy at the sight of their installation, bouquet, or single balloon….. It never gets old! This is our Culture. It’s required that all staff members treat each other with the utmost respect and courtesy. Our staff members translates this culture too our customers throughout every interaction. We believe purchasing balloons should be part of the fun, that is why we remain friendly and patient while helping plan the perfect balloon décor for every event. Customers will never feel rushed or over solicited. That is not how we do business. We take to heart the responsibility of making these milestones memorable. 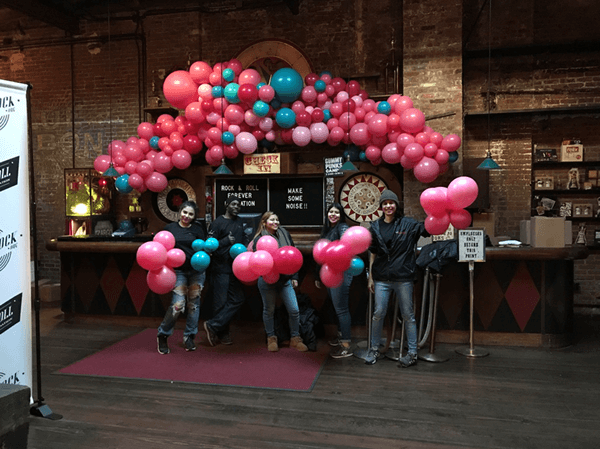 Our reliable, personable, and outgoing staff will help every Client create the perfect balloon assembly within the Client’s budget and ensure every delivery is on time and complete. 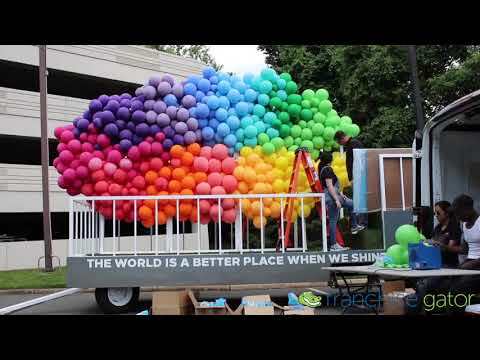 Balloon Kings® is a brick and mortar business with the benefit of online self-service sales. Federal and local governments dictate Building Codes specific to location, occupancy, and use. While the responsibility of adhering to local laws will be the responsibility of each Franchisee, the Balloon Kings® Design Team has considered the international guidelines for accessibility, energy, and construction during the development of the store interior and will be available to help you during the renovation phase. The goal for each store is to maximize productivity of the staff, enhance the experience of the client, and increase the overall comfort of all who occupy the space, while still minimizing the cost of the build and rental fees. Each store only requires 500 usable square feet. This layout includes retail sales, production, two inflation stations, 30 linear feet of latex and foil balloon storage, employee pantry, lavatory, and an optional private office. The furniture, finish, and equipment specifications will be provided as well as lighting and millwork details to each Franchisee. The Balloon King® Design Team also considers facilities management to keep maintenance of your new store easy, so you can focus on business! Just bring your dedication, passion, and enthusiasm; the hard work has been done for you. The policies, procedures, and easy-to-follow guidelines are already in place! You will be a team leader and will be joining one of the most important groups in our country: independent business owners. 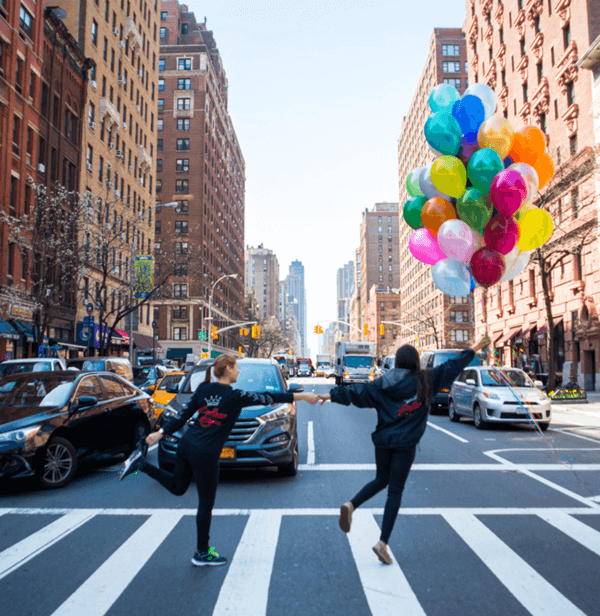 If you are an outgoing and creative person with great people skills, Balloon Kings® offers the opportunity to be part of our unique idea – with tremendous potential for growth. People who have strong ties in their community, are interested in building relationships, have a strong work ethic, and a passion for customer service are the type of franchisee we are looking to bring into our Kingdom as an asset to our team. We believe this is an opportunity to create a lifelong business, both for yourselves and, potentially, to pass on to your family. For almost two hundred years, balloons have been part of our human experience of celebration, and the BK culture supports those experiences. So if you are interested in being part of something sustainable (and not a get-in-and-get-out-quick scheme), you are the right candidate for our team.